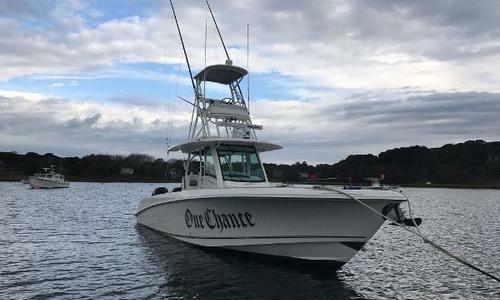 One Chance has been thoroughly enjoyed fishing the Cape and chasing sunsets. 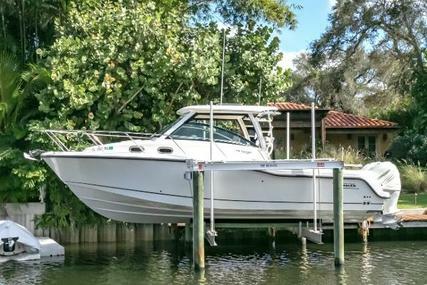 His boating needs have changed, and he's ready to put a deal together. 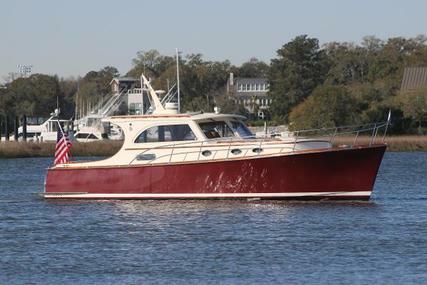 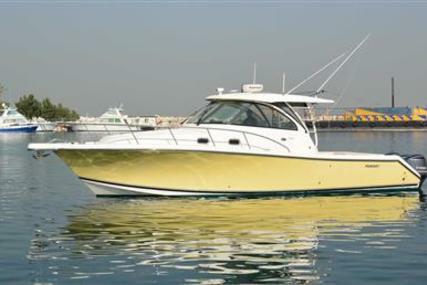 She is in beautiful shape and loaded with options making her a special boat. 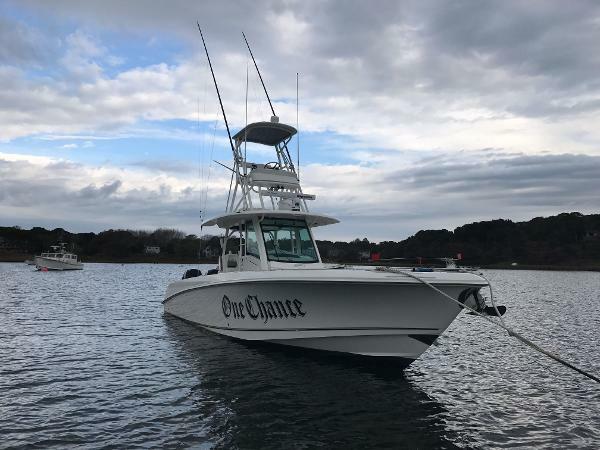 One Chance has been dealer maintained with an "open checkbook" approach, and it shows. 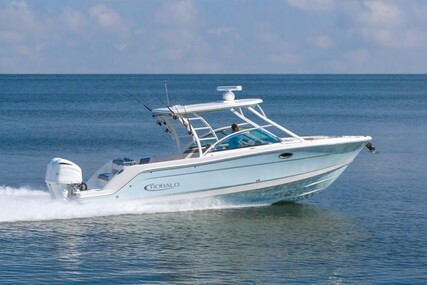 If you're looking for one of the best designed Boston Whaler's ever, you need to put One Chance on your list. 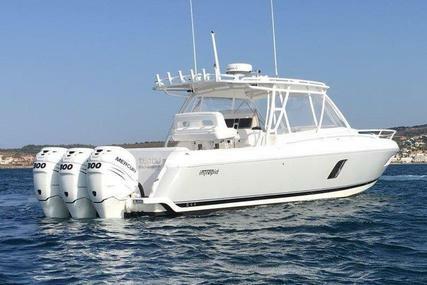 From the award-winning design team behind the critically lauded Outrage series comes the 350 Outrage. 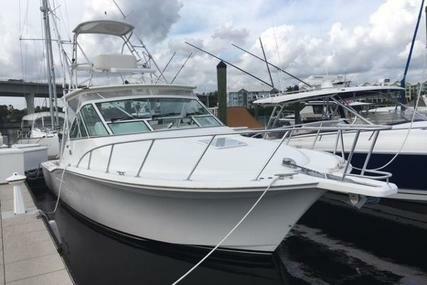 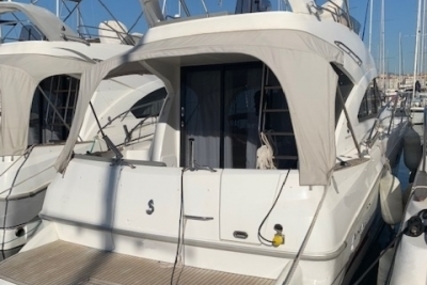 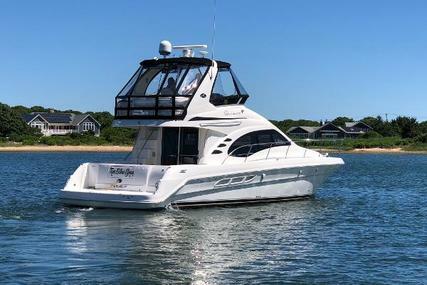 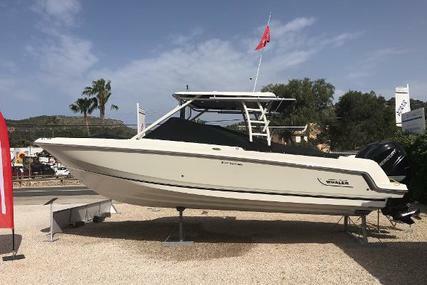 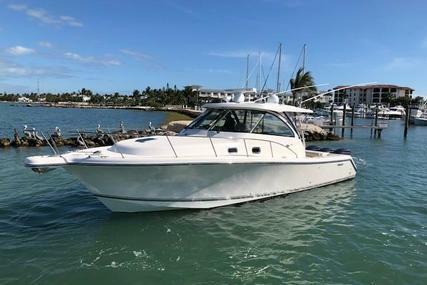 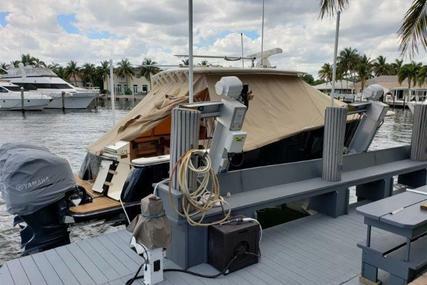 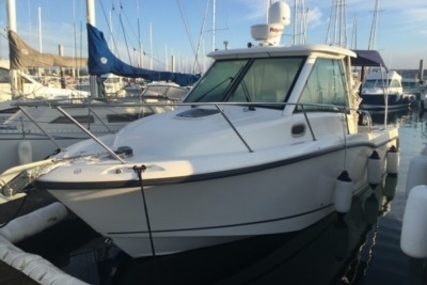 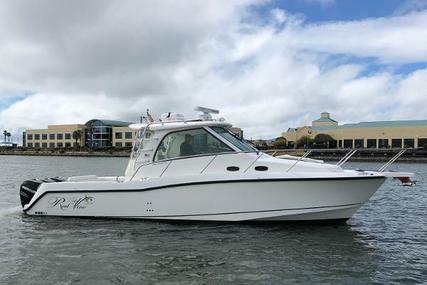 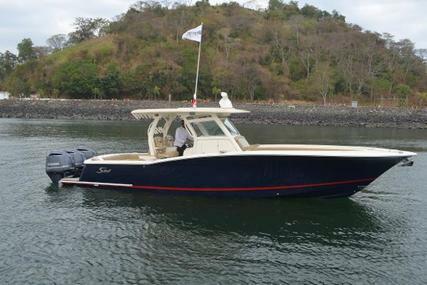 This fully equipped offshore fishing boat is engineered with versatile, thoughtful amenities that are equally suited for serious anglers, pleasure boaters and those in need of a yacht tender. 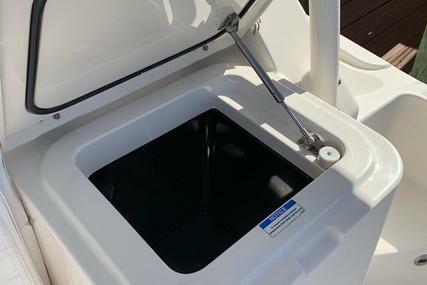 A sophisticated, ergonomic helm console resides within easy reach of the multipurpose leaning post, which is fully equipped for deep sea fishing. 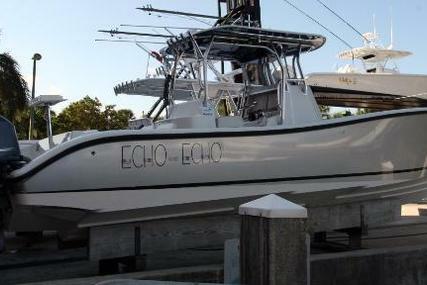 One Chance has the optional upper station that promotes sport fishing and optimal visibility. 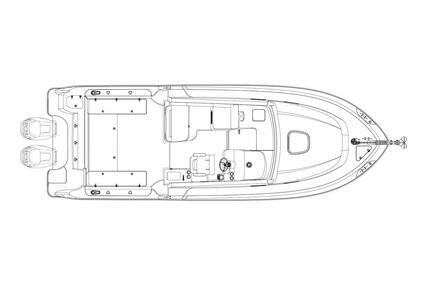 The 350 Outrage also includes an integrated hardtop with interior lighting, storage and rod holders. 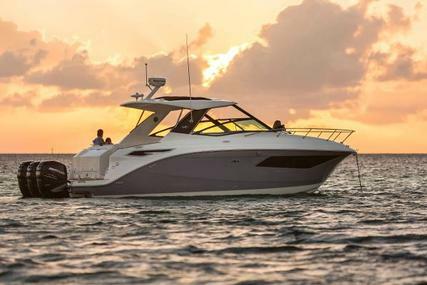 The Outrage features luxury aft seating with plush backrests and thick cushions for the ultimate in comfortable cruising. 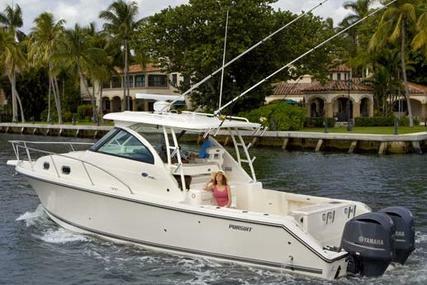 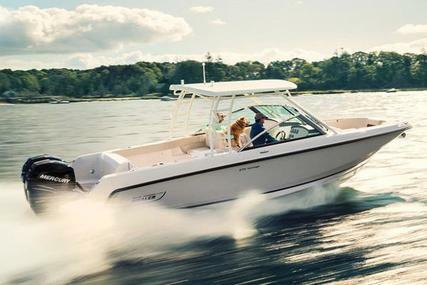 Triple 350 Mercury Verado FourStroke outboards deliver unrivaled motor power. 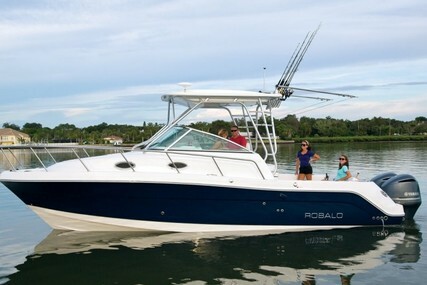 For fishing, cruising or hosting a crowd, the 350 Outrage is a cut above.